Today marks the first day of Advent, the season of anticipation, longing, waiting, before the celebration of Christmas begins. Advent, it refers to “the arrival of a notable person.” In the Christian tradition, the first Sunday of Advent focuses on “hope.” Hope is one of the big three that Paul quotes in 1 Corinthians 13, “faith, hope and love.” It’s an essential element to the life of those who don’t have all that they long for in this life. Hope keeps us feeling when we want to go numb. Hope offers us another day of breath when the walls of our lungs are caving in. Hope compels us to not give up, but to carry on to keep heading towards that which you believe in. I want to speak of what hope could look like through the eyes of a Medieval peasant who has been told by the Lords, the Freemen, the Knights, the Church leaders, and the King, that they actually have it good in life. The peasants were the lowest on the totem pole. For those who aren’t familiar, “feudal system” or “feudalism” essentially describes the social and political order that originated in Europe during Medieval times (roughly 800-1400 CE). In it’s simplest form, the system consisted of unarmed peasants who mostly remained moderately poor to very poor by the dominant power’s design. These peasants would have also been subservient to noblemen (lords) and soldiers (knights) who worked for the king in some way. The lords were the ones who held ownership, ‘lording’ their power over the peasants by essentially refusing them the right to provide for themselves. In other words, they created co-dependent relationships with the peasants. 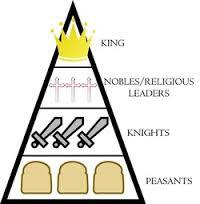 The feudal system worked as lords grew in power and prestige. The chief way lords grew more powerful was by acquiring more peasants and making those peasants work the land so they could pay more taxes, and possibly “rent” more land. For a visual, Les Miserables gives sad imagery to this type of system. Lords competed in this economic system to get more peasants to rent their land, to gain more profit, to tithe more than their neighbor so they can be recognized by the church leaders, and hopefully to King would find favor with them. This corrupt system kept people in their place, and allowed the powerful to become more powerful. Oppressive living was celebrated, and hope for a peasant was not a desirable topic for lords and kings. They liked it when no talk of hope for the future was going on. But every now and then, a voice of hope would arise among the peasants, or for the peasants, and a stirring of hope would arise. This voice of hope, this prophet/prophetess would see the abuse and injustice and could not be silent anymore. That’s the beginning of hope, when their is a voice for the once voiceless. The voice of these prophets would call lords, kings and other peasants alike, to wake up and open their eyes to see the grief of the land and to begin to lament the lostness of the nation and it’s rulers. Kings would be called to lament the fact that their rule has marginalized many, and left the oppressed majority in sickness and poverty, that has become a hatred for the king and for all that he stands for. This prophetic voice will loudly declare that the reign of the king will not last forever. The prophetess will call all who have ears to hear to begin mourning their pain and turmoil, and will call kings to mourn the end of their reign. Many times, the only way kings can begin to see their own end is through the critique of the prophet, but do not be fooled by this critique. This critique serves a purpose, because as the critique is broadcast and spread throughout the land, the wrestling of those who once lived in apathy begins to mix together something very strong and unstoppable in some ways. Critique soon moves on to hope. A sad reality in many cultures is that the one who begins to critique the dominant culture is almost always seen as (or made to look like) a trouble-maker, a law-breaker, untrustworthy, a liar, or a lunatic. It’s funny how the voice of hope is always attacked by those who fear to lose most from hope arising. New, regenerated life comes only after death, but a king must first have ears to hear this. “For a seed to give birth to life, first it must die.” For the peasant, the call is to lament the reality that they’ve been duped, taken advantage of. There’s been grave injustices done at their expense and that needs to be acknowledged so they can properly lament. The hope of this message comes when their eyes are open to a new reality of a life of freedom, when new songs and dirges break forth in the streets of the commoner. These prophetic messages are not desirable to the ears of the dominant culture, because this message has unavoidably upset a status quo that lends itself to the benefit of the powerful. There’s no place in the “royal” public domain where failure can be faced. Kings don’t want imaginations of the peasants to run wild and begin imagining the good life, that would be the roots of hope, of a revolution. This is why oppression occurs and people are silenced. When prophetesses arise among peasants, lords and king come down on the peasants even more harshly than before, and “hope” that the peasants themselves will turn on the prophet, and even blame them for their suffering. Even if it’s done passive aggressively with a tone of “love,” to mask a hidden motive of control, corrupt leaders will silence talks of systemic change. Kings and lords have a lot to lose. The feudal lords promote numbness to the problems of the state; the prophets promoted a renewed imagination through critique. These critiques ultimately acted as the birth of a new reality of hope for the oppressed. When the systems of power are critiqued, those on the margins almost always see it as “good news,” because the ability to imagine an alternative community can soon become a reality. Critique and grief combat numbness. Hope and imagination combat despair. Not much has changed today, except the amount of wealth there is to go around of people. The system says it’s more free than before, but there’s still a pecking order. The rich and powerful can use their money and power to get out from under the law, thus proving that there really is no law, order, or justice, at least for them. The law and order is still for the commoner, the peasant, the ones who are lower on the totem pole. Nelson Mandela once said that “in prison, illusions can offer comfort,” but if you’re not in a literal prison, these illusions become the prison. All around us, if you’re paying attention, are illusion. The dominant culture wants those on the bottom to see life a certain way, through numb-filled-glasses. So many of the concerns of the peasants arise from planted impulses to become someone or something that we are not. We have been indoctrinated into this authoritarian-political-consumer culture that dominates the weak. We are told in many different ways by many different people that certain realities of our culture/nation are untouchable truths, and that particular ways of being and behaving are not only preferred, but expected. The prophetic hope-builder in the 21st century has the difficult task of evoking and displaying a new way to be human, to nurture alternative forms of living, and to expose the dominant powers of the day as fraudulent. It is at this point, where kings and rulers die (metaphorically and literally), where new life and new eyes emerge. After all, wasn’t it the prophet Isaiah who received new life and new eyes in the year the king had died (Isaiah 6:1)? When false kings die, the true King can be seen. This is what prophets/prophetesses long to see happen. There’s much more that can be said here, but for now, the prophetic language of grief is meant to critique the numbness of the kingdom so that lament can happen and imaginations can be birthed again; HOPE. For without voicing the pains of oppression, lament and grief will never truly happen, and if lament and grief never happen, true healing and HOPE will never be realized. A false reality will prevail and the “royal consciousness” will continue to silence. We need prophetic imaginations to have the freedom to spread throughout the land. This is the way of the true kingdom where alternative communities reside, where the status quo is flipped on it’s head, where forgiveness comes from confession; power from weakness; life from death; glory from humility; beauty from ashes; sanctification from suffering; joy from obedience; healing from grief; fullness from being emptied. At the point of re-gained imaginations, hope can rise and the true King can be seen and known, and the peasants (marginalized and traumatized) can realize their true destiny. The language of hope from the prophet cuts through the despairing, dead imaginations of the peasants, and allows the feudal system to be exposed for what it is. At this point, once again, the peasants can sing and dance and celebrate the hope of the good life. The Not My People of Babylon can be a part of a homecoming where the poor, the grieving, the humble, and the hungry receive their freedom in midst of the celebration. This is precisely where and when the freedom of God is realized. This is what Jesus not only offered, but made happen. His life for ours, the kings and the peasants alike. Jesus is the great equalizer. He brought the valleys up and the mountains low. He was not a respecter of man. He displayed true power, sacrificial love, and the willingness to die so that all could live, even lords and kings. This Advent, today, we long for Jesus to not just be known cognitively, but to be experienced and embraced intimately. Facts about Jesus can only take us so long, until we need Jesus among us, tangibly, prophetesses who stand with the weak so that the powerful (kings) and the weak (peasants) both have an opportunity to live. Here’s to hopeful, active waiting. Your voice matters! The king (dominant culture), usually, does not want a free god, rather, he wants a god he can control, because if god would ever disagree with his rule, he can persuade and manipulate him to do as he wishes. The result is a god who is not free in the sense of being accessible to all. The god of the “royal consciousness” is absent to the minority, the marginalized, the immigrant, the refugee. We expect this to happen within structures and systems where a Christian worldview isn’t the prevailing belief, but when this “royal consciousness” resides within the Church, among God’s kin, His children, we begin to have some confusion within the family. Again, I want to remind us that God is radically committed to giving access to those who have none (i.e. while we were dead and in sin, Christ died for us “so that” we could have access, so we could be included… to live!). When God’s freedom is limited inside feudal-type systems, especially these systems created from within the household of God, one could imagine the disconnect many have with Christians closing doors to those on the margins. The God of the Bible is always moving to the margins, exploiting those who oppress the margins, bringing alternative ways of living for those on the margins, and making access for those on the margins to be included, to have space to belong. Indeed, it is from the margins that the thrones of false kings are overturned, and where the true King arises. One could argue that much of the Old Testament is filled with God focusing “only” on the Israelites, making it about this “one” people. But to see this would be to neglect the thrust, or what some scholars would call, “the arc of the narrative of Scripture.” The arc of the narrative of the Old Testament is pointing “one” people who will represent the “many,” which will eventually, point towards one person from that one people group, who would make access for all peoples. From Exodus (22:21-22), to Psalm (86:9), to Isaiah (Is. 60:3-4), to Malachi (Mal. 1:11), and all scattered in between, we read of God’s heart to welcome ALL the nations, to make room for the sojourners, the poor, or those running for their lives (Deut. 4:41-43). God’s heart has always been to unite the nations, that His name would be great among them, and a family reunion wold once again be realized by kin from across the globe. And for “such a time as this,” in a day where there’s a plethora of corrupt leaders that are driving out humans from their land, evil gangs terrorizing, promising to slaughter and humiliate whoever stands against them, nations making profit off the poor, and powerful stakeholders trying to control world destiny, families are being displaced, seeking refuge and security, landing in cities all over the world. A very small percentage of these families are landing in the U.S., in a city near you. Even among those who are fleeing, there some wolves (real or perceived), pretending to be poor sheep running for their lives, only to infiltrate other nations to poison them. Yet, there is still a narrative arc that points towards love, acceptance, access, and belonging for those who are part of the household of God. It is terribly dangerous to live out of a Christian worldview, and sadly, few Christians are living into this. I have found myself in many conversations with Christians who have called me foolish, lost, blind, naive, and the like, all because I think we aren’t opening ourselves up as much as we should as a nation to refugees and immigrants. But Scripture has a different understanding of being foolish, and so should God’s people. I feel we’ve protected ourselves from the suffering of these suffering sojourners through policy, fear of terrorism, nationalism, and good intentioned blog posts like this one :-). As a nation, I can believe how we could feel protective and not intimately join in the suffering of the plight of brothers and sisters from other nations. I get it. We have a lot to loose in America. Freedom is under attack in new ways, threats that we’ve never faced are now before us, the economy is fragile, and the nation is divided. It is a different way of live within the household of God. Our leader is rich, full of resources, is not trapped by geographic boundaries, is not motivated by fear, does not see death as losing, isn’t represented by one church or logo, and love and belonging are his weapons of choice, especially love and belonging for the widow, the orphan, the homeless, the poor, the sojourner. Sadly, within the household of God we spend a lot of time talking about loving our neighbors in crisis, and little time living it out. We’ve allowed the culture of our day to rub off on us so much that the fear of loss, self-protection, and discomfort from suffering has handcuffed us. I know this is not true for everyone in the house, but when the vast majority of the family members aren’t getting it, when is the proper time to call this a crisis of faith? The family is in critical condition and in need of resuscitation. We’ve lost sight of our first love, and new gods have stolen our hearts and we don’t believe it when people tell us so. The “royal consciousness” of God’s people has been high-jacked by a lower consciousness that sees self-preservation as more important than sacrificial-love. God creates access for all. This is what He does, and his household does the same. The fullness of God’s access is best seen through the lens of Jesus. The God-man, coming to remove the barriers we’ve made to access God, became human. Think on that for a moment, the God of perfect glory stepped in to the margins by becoming human. He was born to Mary, an unmarried teen mom, who soon after her birth became a refugee in Egypt. When it was safe to return home, He grew up on the wrong side of tracks, where nothing good ever came from, right? Never went to formal school, worked His father’s trade as a mason/carpenter, promising never to amount to much, except to be an honest tradesman (something that’s hardly valued these days). At the proper time, He left the business, had no where to call home, and lived off the generosity of others, calling a ragamuffin group of shady characters full of pride and anger to follow him. He brought worth and value to the women who followed him and included them in his work which was risky, since he was single, right? He touched the untouchable leper and the outcasted bleeding woman, slowed down long enough to listen to the improper yelling blind man and offer him what he needed, stayed in the home of a single Samaritan woman who got around with the fellas, and welcomed the tears and treasures of prostitutes to be poured over his body, so that he might be anointed to die the next day on a tree that represents a cursed man, dying for a cursed people who cursed the Him, only to be marched outside the gates, in the margins, outside the city center, to be crucified and left to die. God went to the margins, because it’s there where everyone has access. The rich can go serve the poor, or fancy their favorite spot whenever they like. The poor do not have the same access to the rich man’s part of town and favorite places. If the God-man was born in a castle, only the powerful and privileged would have access to Him, but thanks be to God, He went to the margins, became a part of the margins, and invites us in our new life to follow Him into the margins. This is the God of the Bible I’ve come to know, and it’s why I’m persistently writing about and living and moving into the margins of our culture. We present an inaccessible God when do not stand and fight for the suffering sojourners. When we neglect to see their plight and ignore their cries, we represent to them a God who does not hear and who is not concerned with lower-level dwellers who aren’t citizens of America. We don’t hesitate to call them illegal or terrorists, and never once have we slowed down long enough to acknowledge their stories, validate their pain, and cal out the injustice of the home situation that has left them desperate. This is a huge problem with in the household of God. My prayer is that Christians in the church would be able to see this same God that moved to the margins and be challenged to move to the margins as well, however God might challenge them, especially in regards to the refugee and the immigrant. I pray that people within the household of God would prophetically create alternative social communities for the forgotten ones to belong. “Crisis” is too small of a word to describe the state of humanity right now. The Church can’t do this alone, but surely the Church can lead out in it and be a display people modeling the love and movements of our leader and savior, Jesus. God help us live into the margins and learn to be radical lovers of our new neighbors, who many of them have been part of some of the oldest churches in the world. God has brought the nations to a country with freedom of speech and religion, and it has not been an accident. 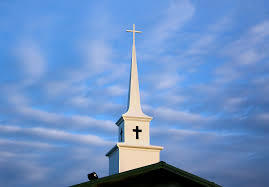 Now the Church is responsible to display the accessible God in word and deed. CCDA. It stands for Christian Community Development Association. It’s a one-of-a-kind association, at least from what I’m aware of. It’s odd how you can be one member among thousands and yet feel a sense of being at home, a sense of belonging. It’s an association birthed from pain, struggle, injustice, and a desire for Jesus to show up in the midst of it all, which is Jesus’ specialty. Maybe the feeling of being at home and belonging is real because there is solidarity in the struggle, or at least for those willing to be honest with the struggle. It’s like folks who are in war together, taking cover in the trenches, knowing that they are radically different in many ways, yet family, willing to take the next bullet if it means protecting them as they run across the battlefield to tend to a dying sister. When you’re in the trenches, you don’t have time to ask your comrade whether or not they see the Bible as inerrant, inspired, authoritative, or not. It’s in the trenches where you don’t have time to make sure your convictions line up exactly so that you can be sure your tribe would approve of your partnership. No. When there’s war, we partner with everyone who’s pointing towards the end goal. I’ve been a part of other associations where partners would be in the trenches together and would start arguing about the gifts of the spirit: “I can’t cover you bro if you believe in speaking in tongues,” or “Get out of my trench with your Arminianism!” Believe me, I understand the importance of right belief and how that can shape a culture or a people group. But I also believe that there is a higher law within the Christian doctrine, that supersedes all other laws, and it’s the law of love. The command to love one another is soaked with messages of acceptance and patience and long-suffering. 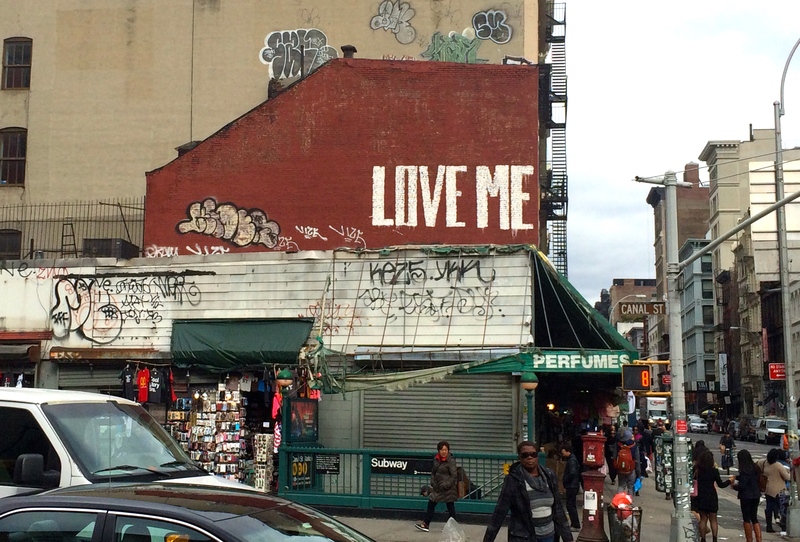 The command of love is saturated with an ethos of belonging that precedes right belief or acceptable behavior. It’s precisely this higher law of love that has permeated the CCDA culture, which creates an ethos of radical love, that looks to many within various Christian tribes like a move away from the gospel and “good doctrine.” I believe it is the willingness to associate with the margins that makes one become labeled by another tribe as “on the slippery slope” or “walking the line of orthodoxy,” but are we called to make our tribe feel at ease with our doctrine, or to love without abandon? Love trumps all (no pun intended), and I don’t believe this is a cop out answer, even as I know the understanding of love has been watered down and chopped up as something that is overly sentimental or an acceptance of anything regardless the consequence. I’ll camp out in the “Love trumps all” camp and let the power and culture of love defend itself. 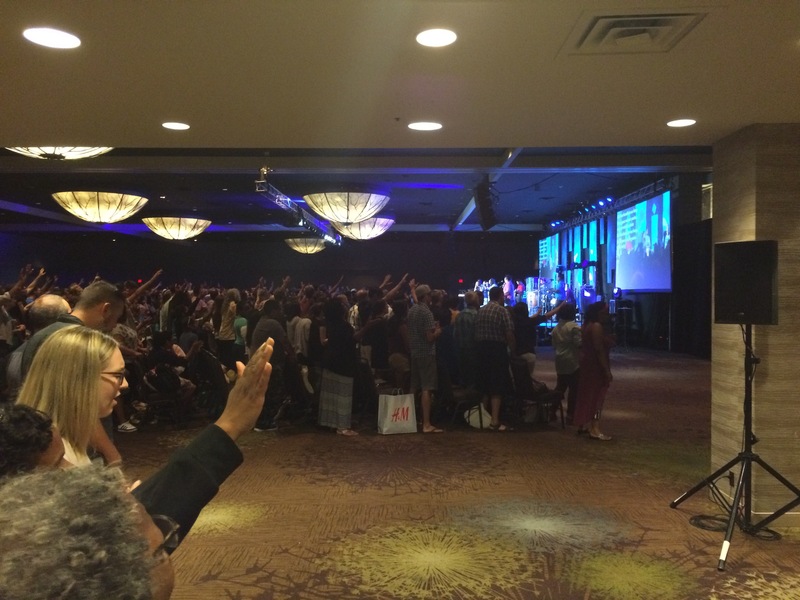 I say all this because it’s been three years since I’ve been to a CCDA conference and joining my friends from Phoenix and from around the nation was a homecoming again, a homecoming of radical love and acceptance of a diverse people who have given their lives to presence themselves among brokenness. Even though many were strangers and new friends to me, I still felt at home. I was encouraged, I wept with others who wept, and wept for the pain of my family and others. I felt completely full in some ways, and completely poured out in other ways, and it was still good. Belonging! Belonging precedes right belief or behavior. This is Our God, and this is our call to love one another as well. It’s diversity not for diversity’s sake, but for loves sake. It’s a messy call that will make you a heretic to many, but a saint in God’s eyes. This is what family is like at CCDA. This ethos will be part of the change we truly are longing for, which also means it’s the ethos that will birth in its people a divine patience for others who would disagree with this way of life. We truly all need each other, more than we’ll ever fully know.